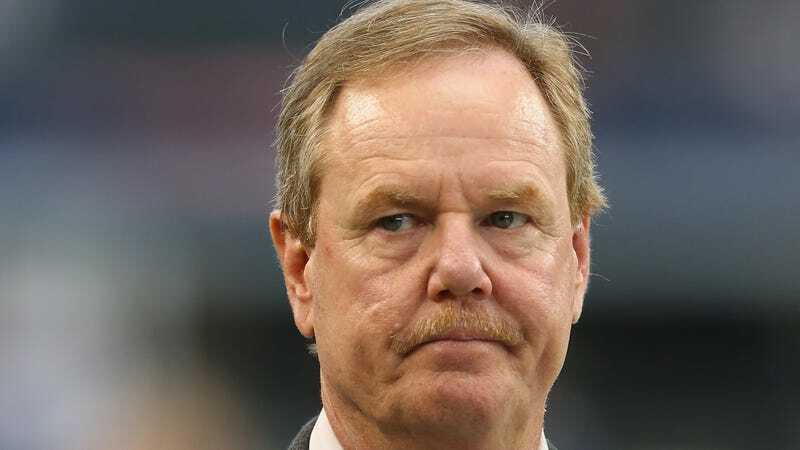 Ex-ESPN reporter Ed Werder is a white man. As both a sports reporter and a white man, Werder, and all those like him, make up some 90 percent of sports journalism, so when Sports Illustrated tweeted out that they had a spot for an entry-level news writer position, SI senior writer Charlotte Wilder saw this as a golden moment to push for women as applicants. “If you can stand sitting near me in the office this is a v cool opportunity. Especially if you’re a woman trying to get into sports, you should message me—DMs are open,” Wilder tweeted, TMZ Sports reports. Somehow, Werder got his knickers (I assume that Werder wears knickers, but admittedly, I don’t know this as a fact) all in a bunch. “So men need not apply? Any others ineligible?” Werder tweeted with tears staining his whiteness. Wilder responded, “Oh WOW you’re right, Ed, sorry for attempting to make sports media more than 10% female, my bad,” as TMZ Sports reports. Because next week, I’m going to be standing in front of a broadcasting class of young people and some will be males and I have to tell them they have the same chance at jobs like those one as all others. One of Werder’s former colleagues, Mina Kimes—a senior writer at ESPN the Magazine—stepped in to explain to Werder the obvious point he kept missing. Werder didn’t respond, and something tells me it’s not because he actually got the point.